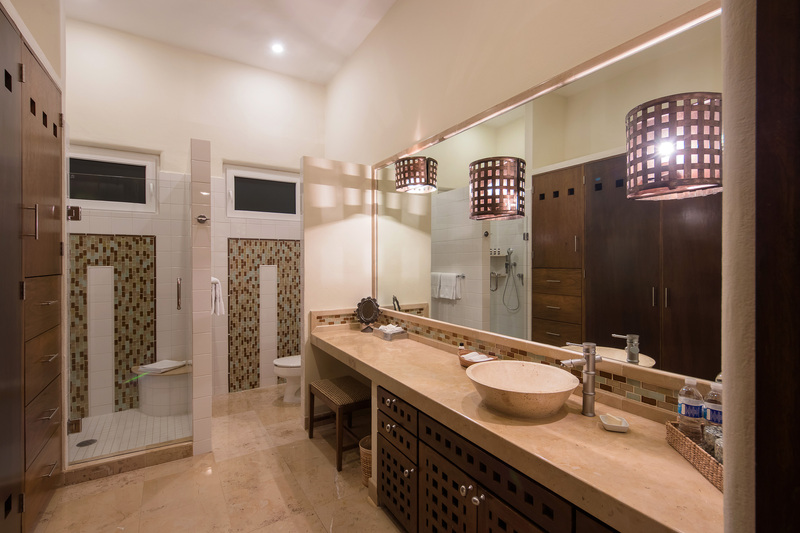 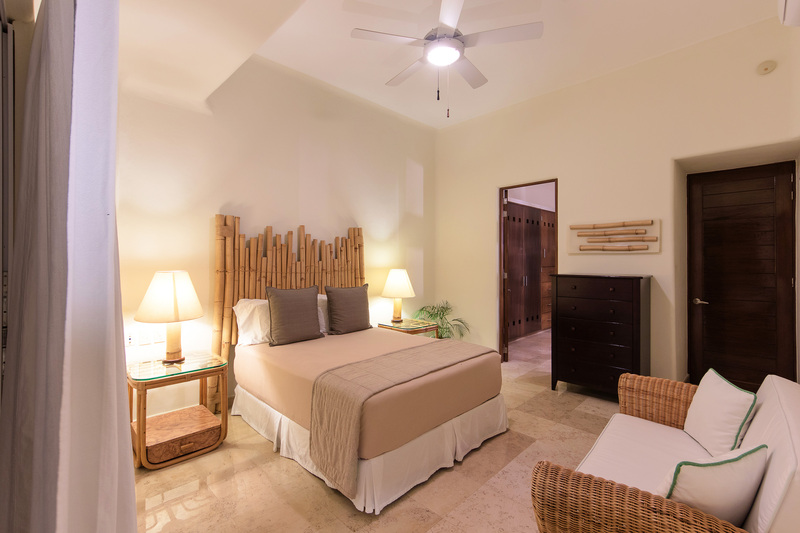 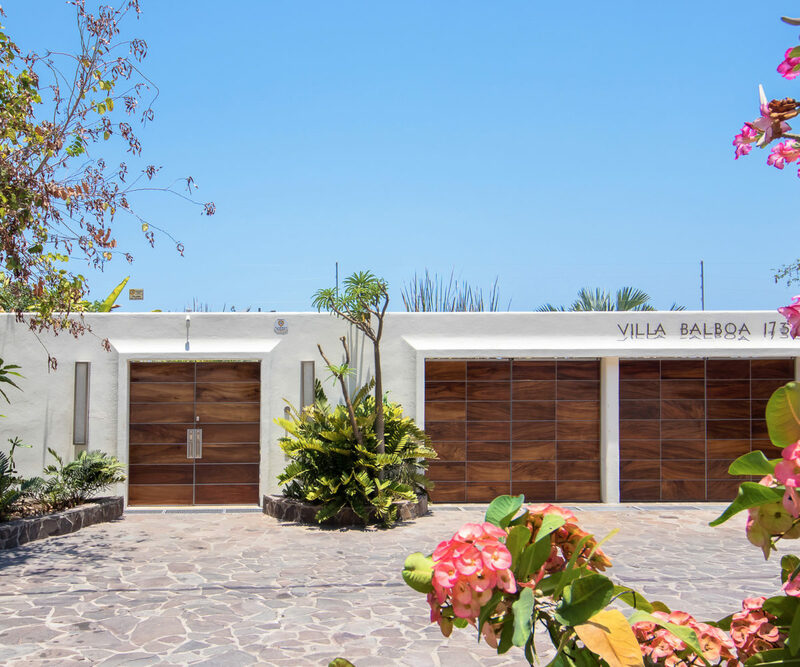 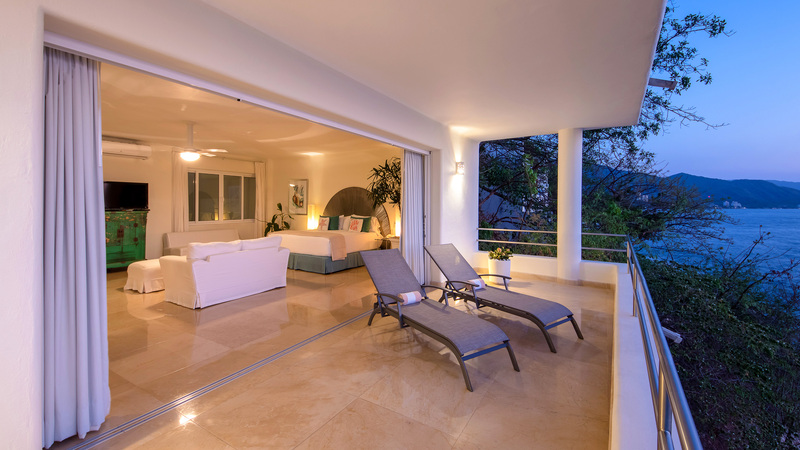 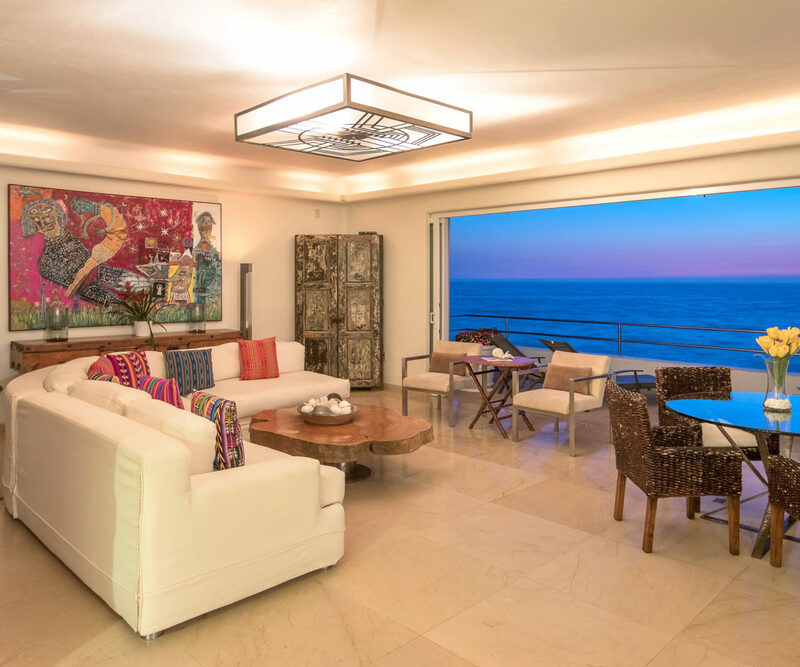 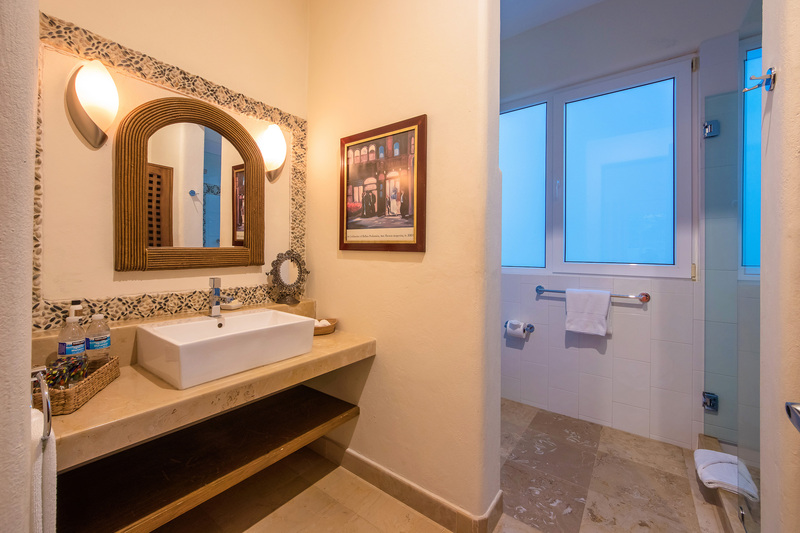 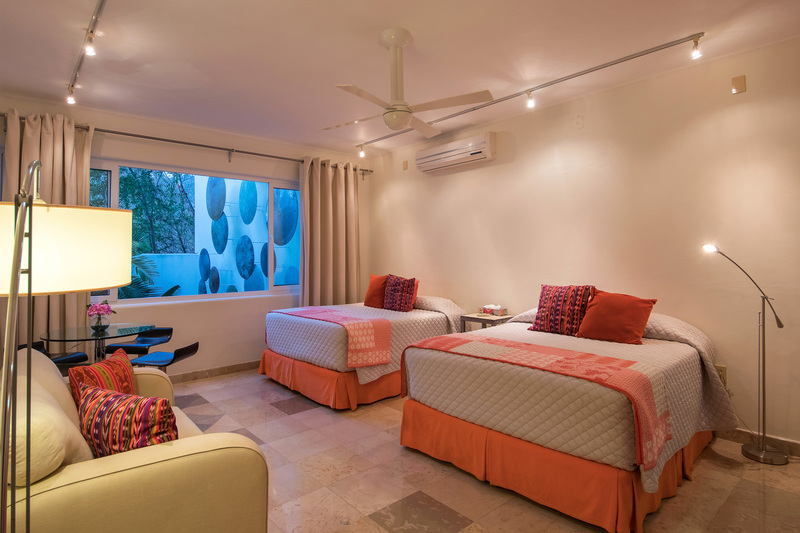 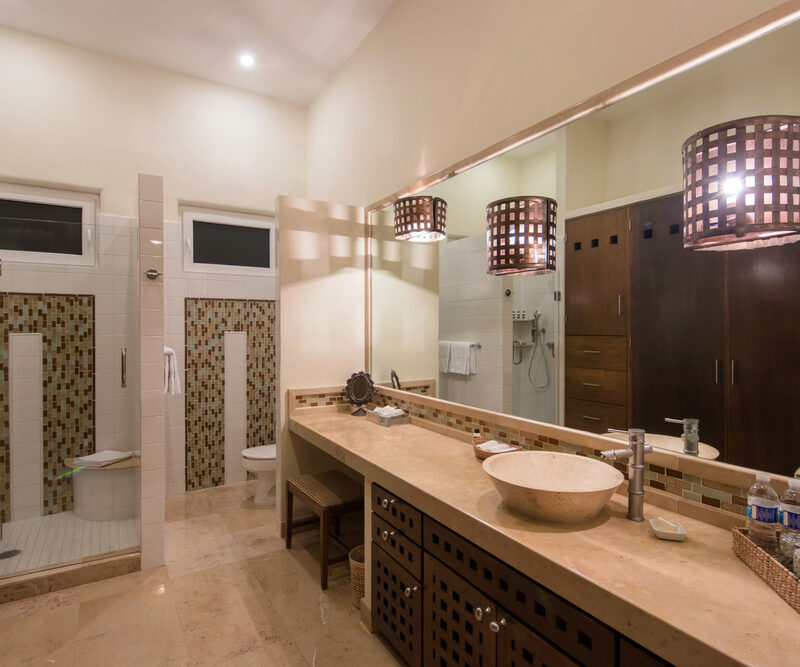 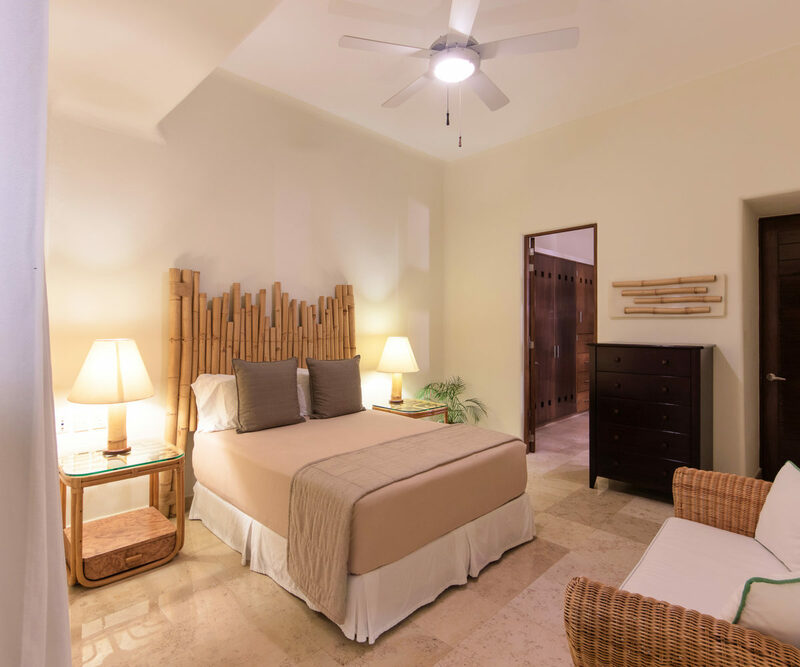 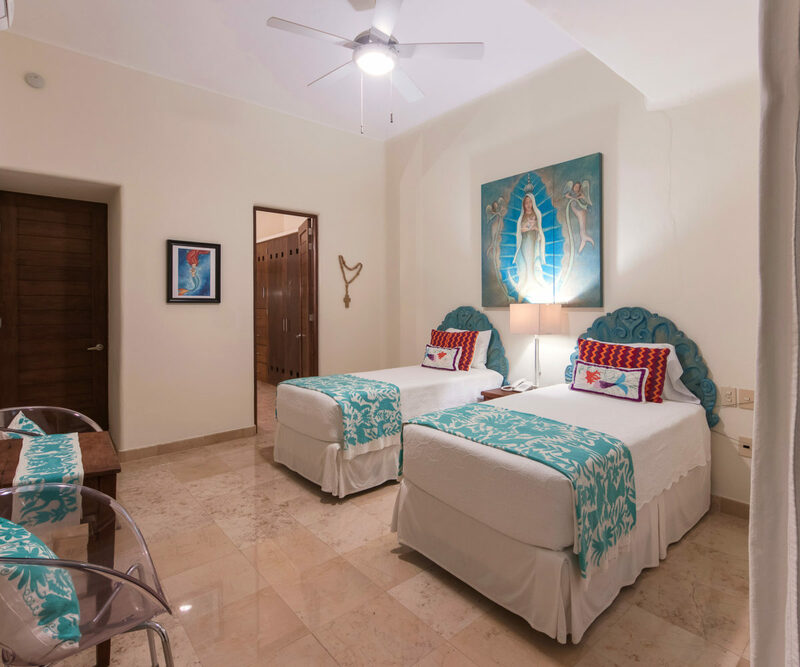 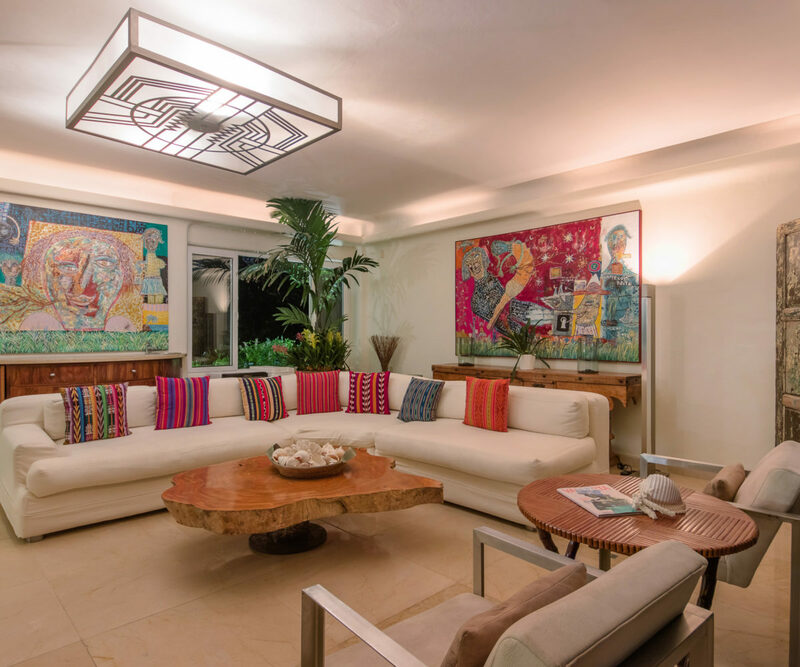 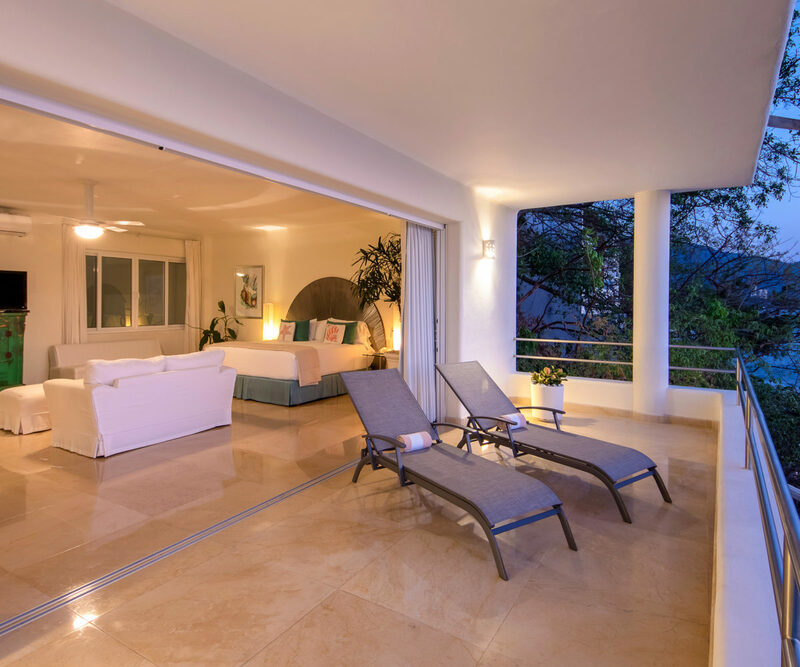 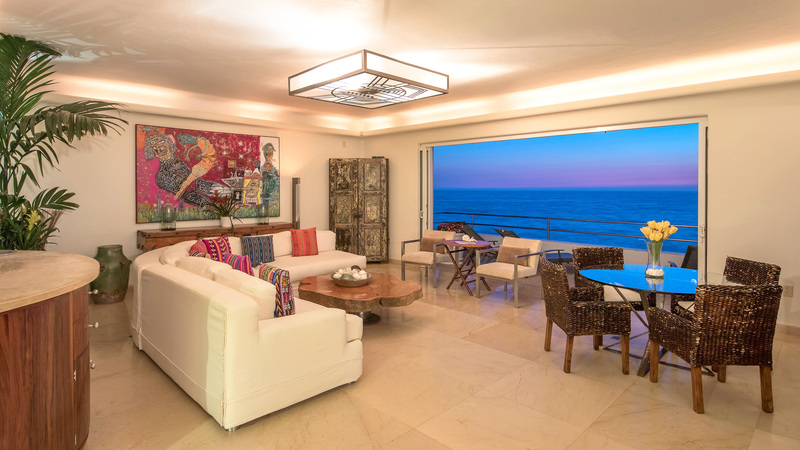 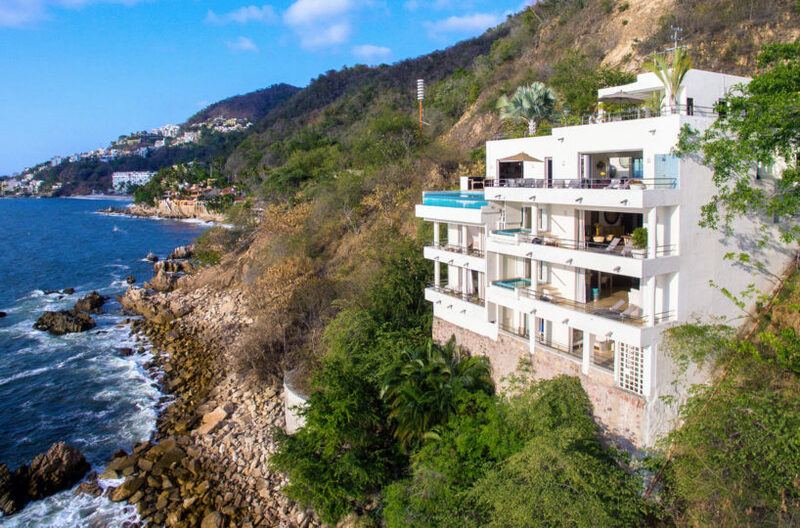 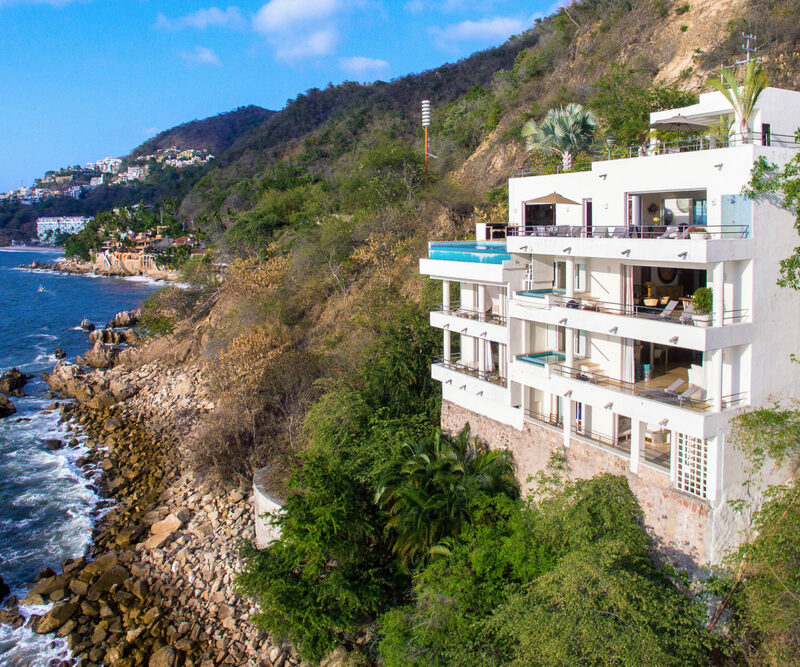 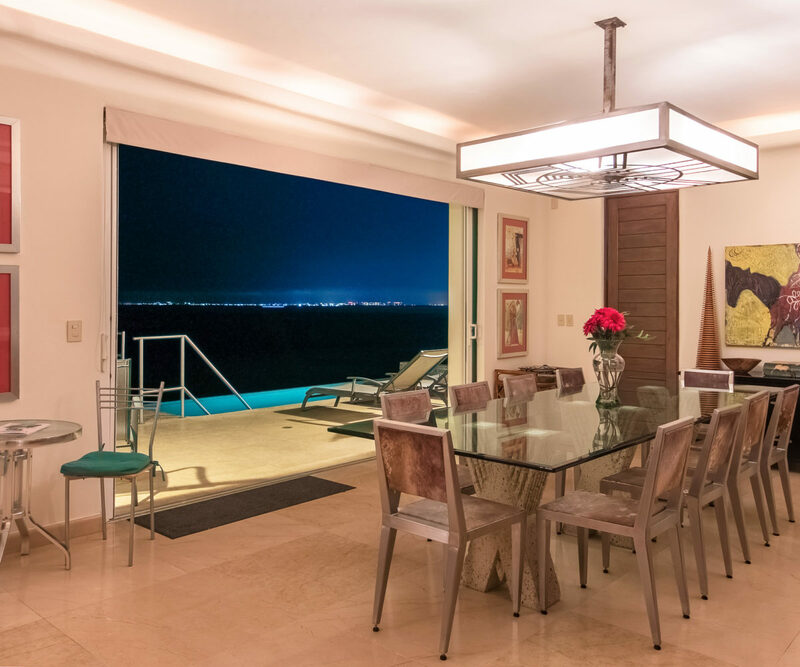 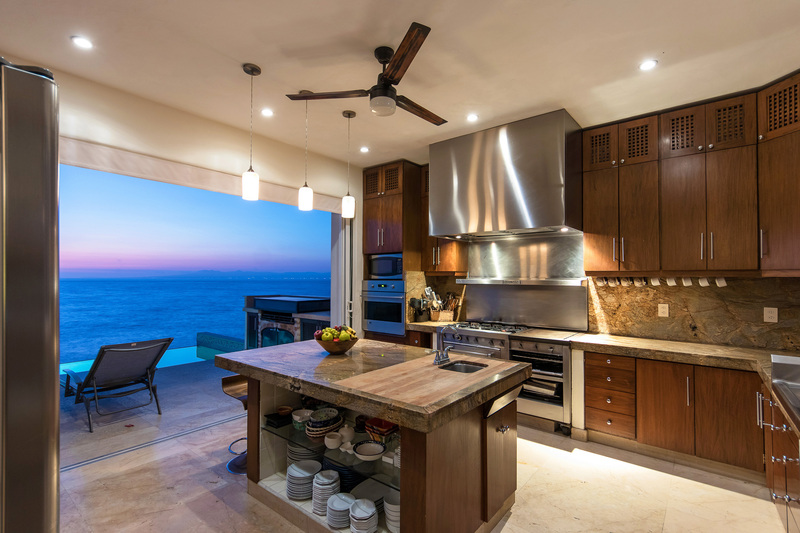 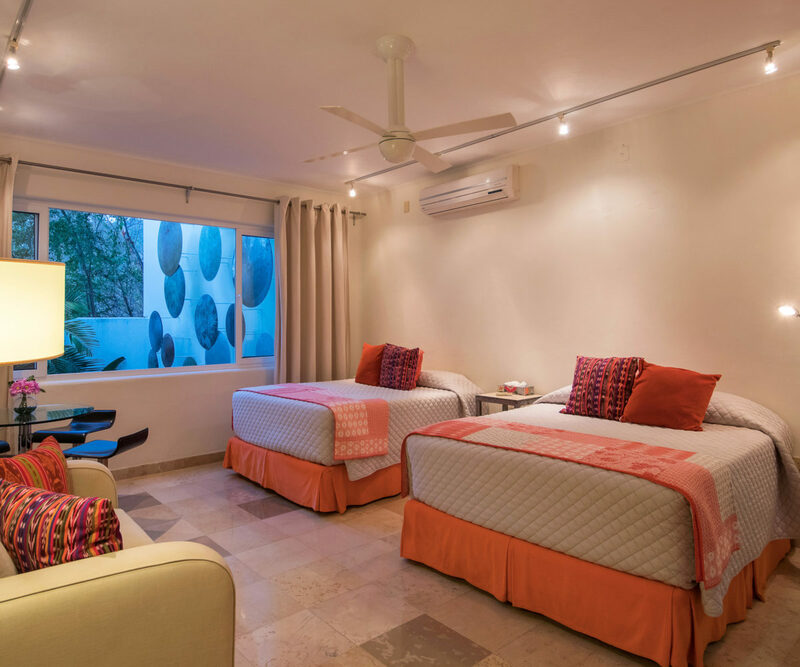 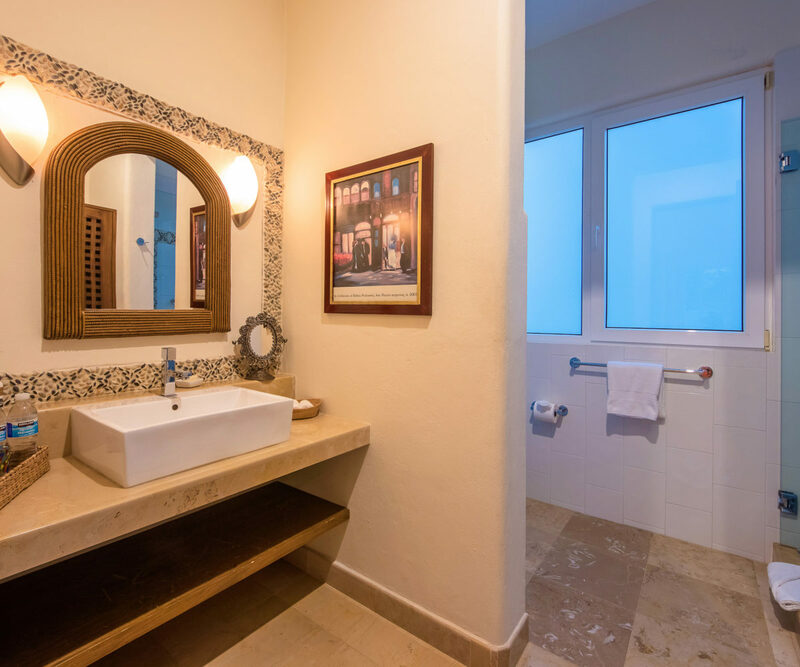 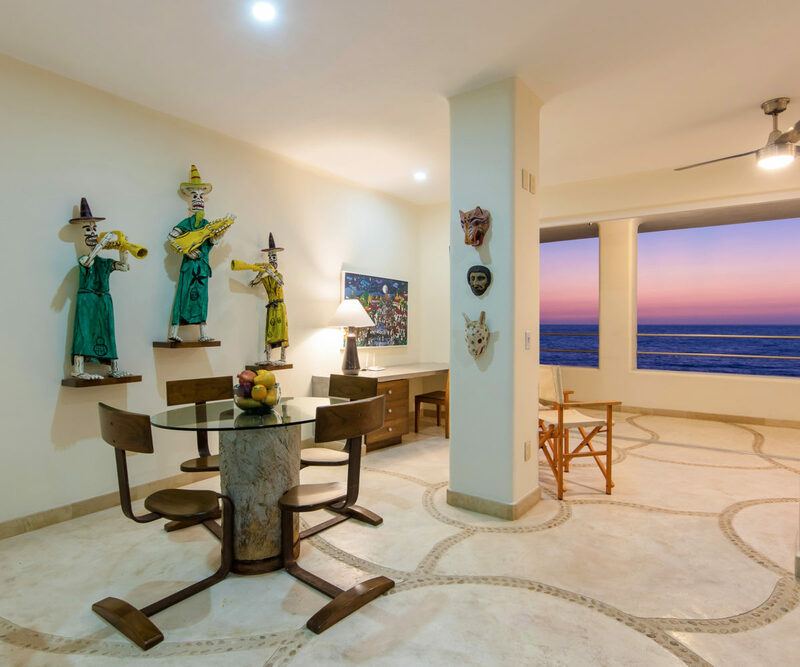 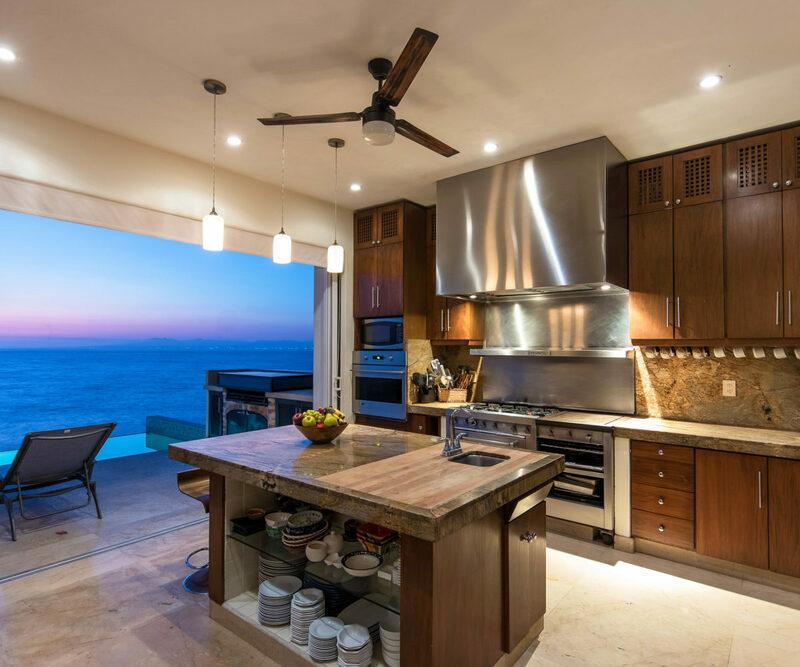 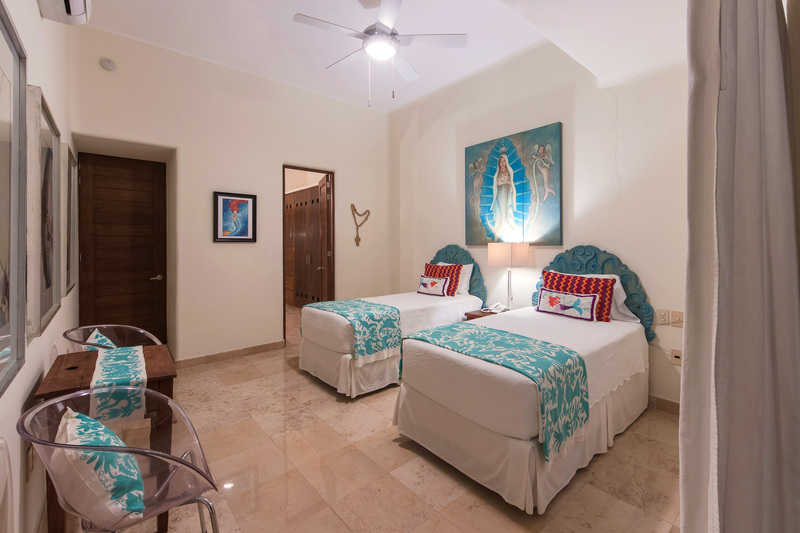 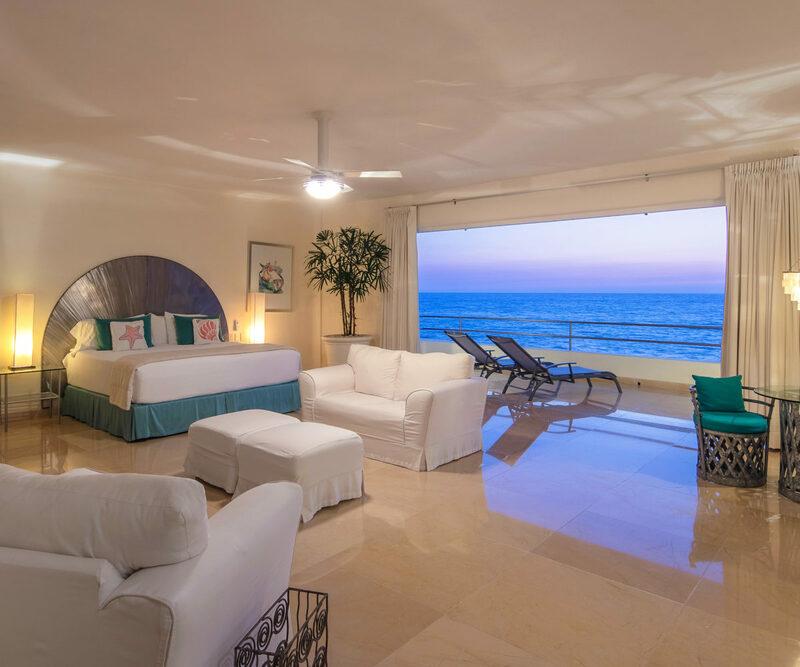 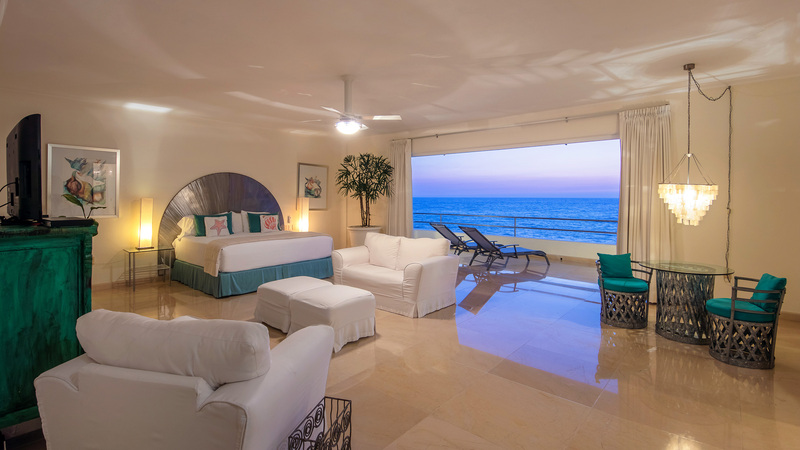 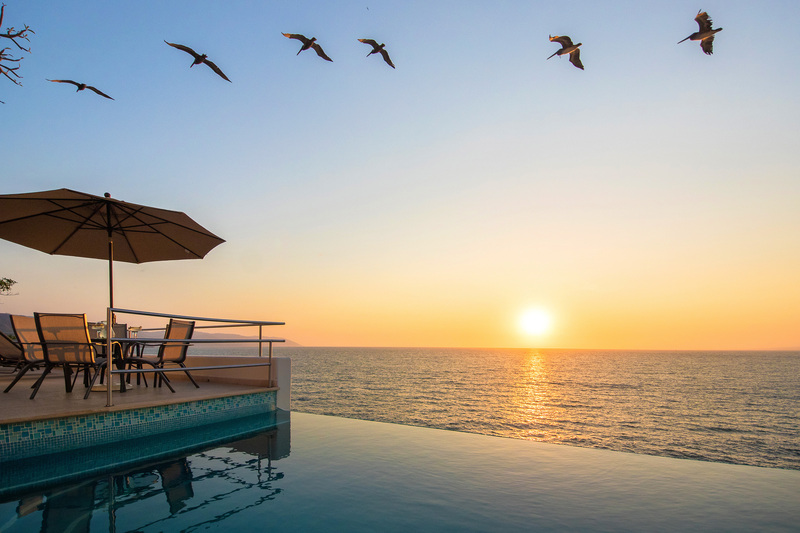 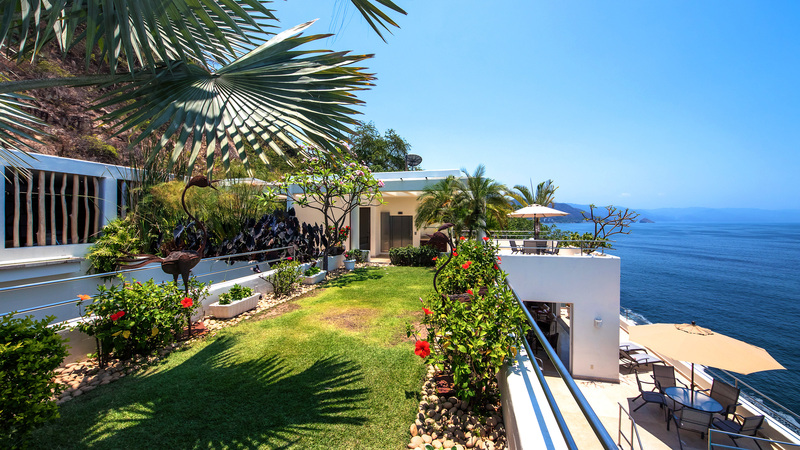 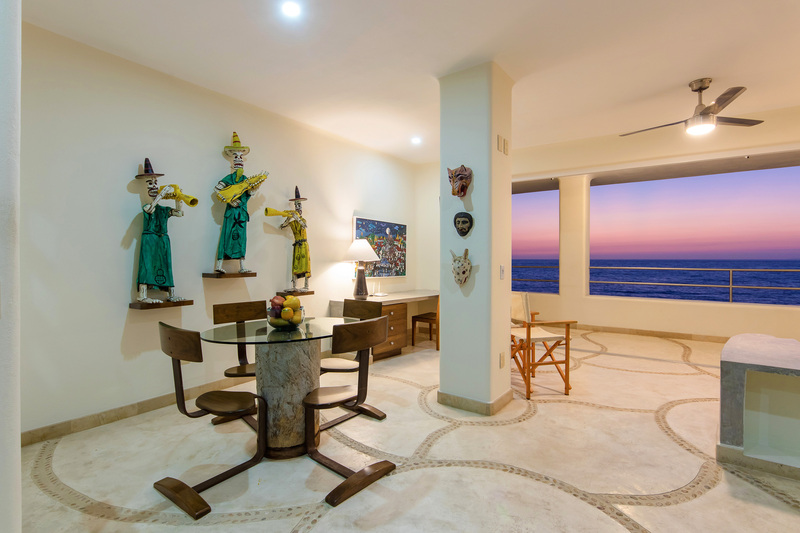 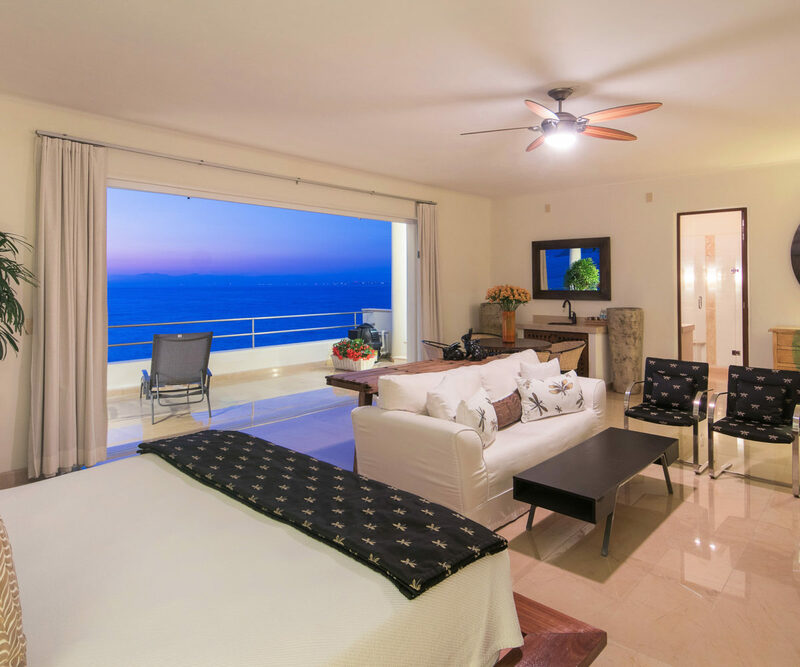 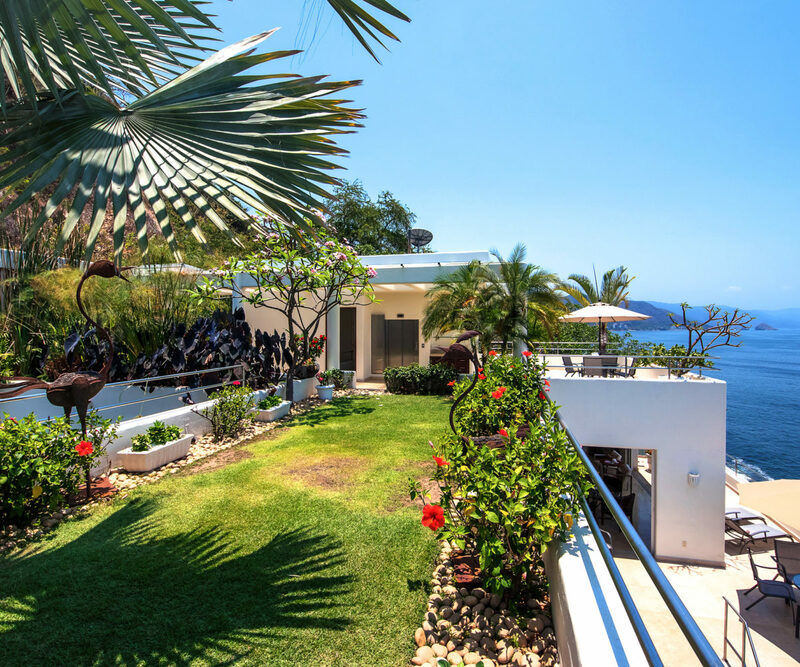 Located where the Jungle cascades down to the Sea – Villa Balboa is a Mexican Contemporary styled oceanfront villa located on the prestigious South Shore of Puerto Vallarta, 5 minutes from Old Town's restaurants, shopping and nightlife. 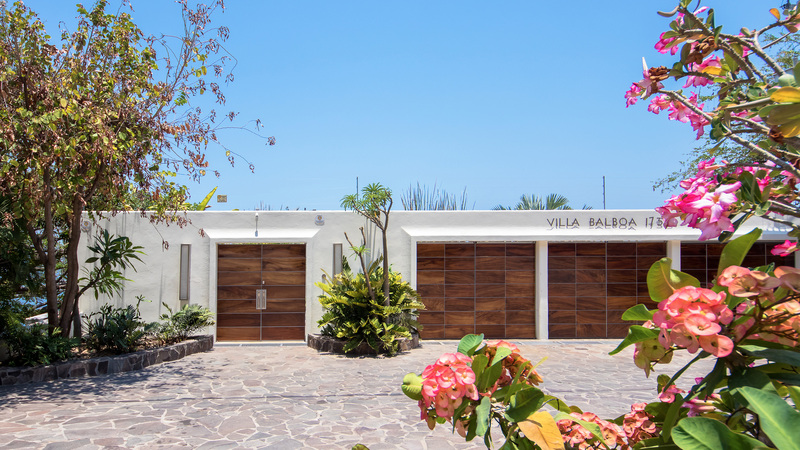 This Villa contains all the charm of Mexico while affording modern conveniences for comfortable living in the tropics. 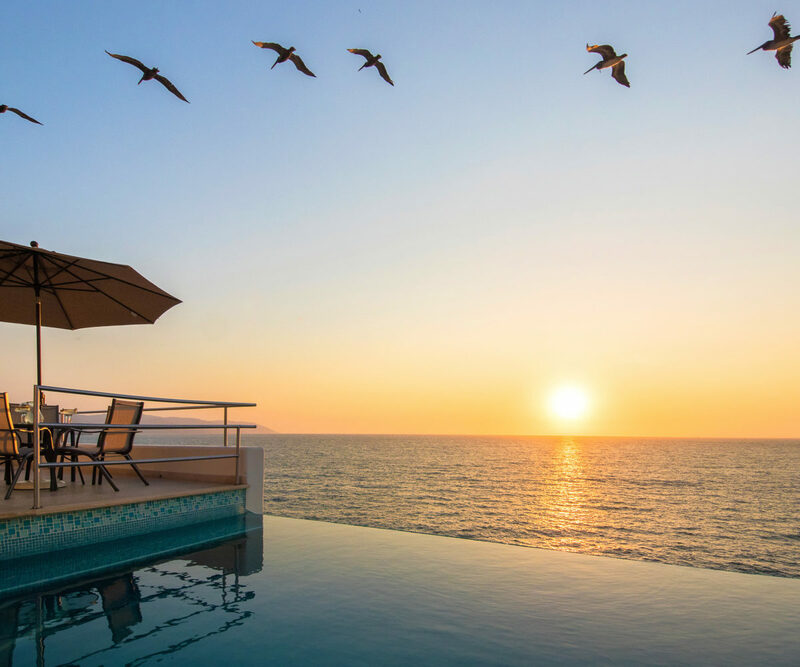 Whether lounging by the infinity pool with 270-degree views, dancing & dining on the rooftop, or enjoying the private movie theater, every aspect is exquisite, yet casually chic. 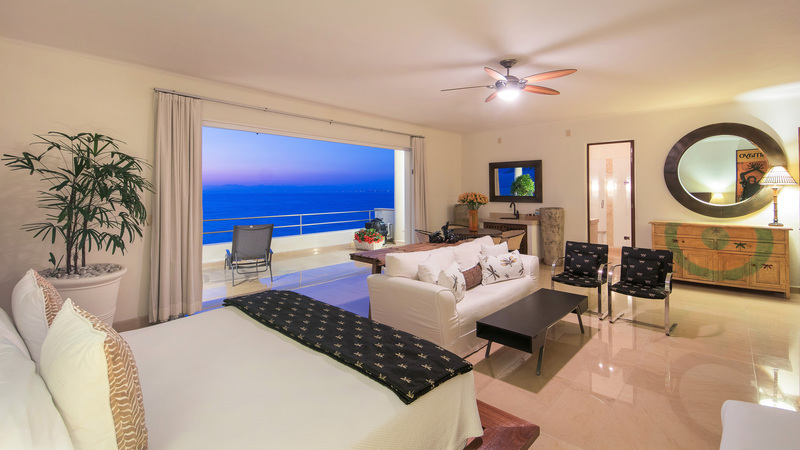 Elevator access is provided to the multiple levels for the convenience of you and your guests. 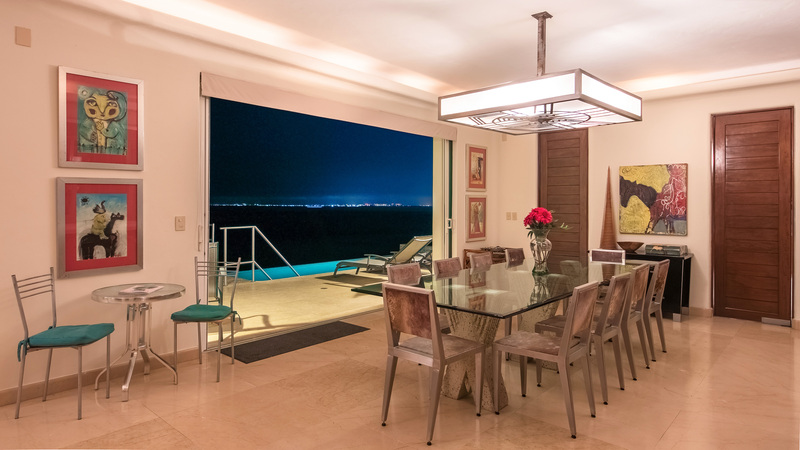 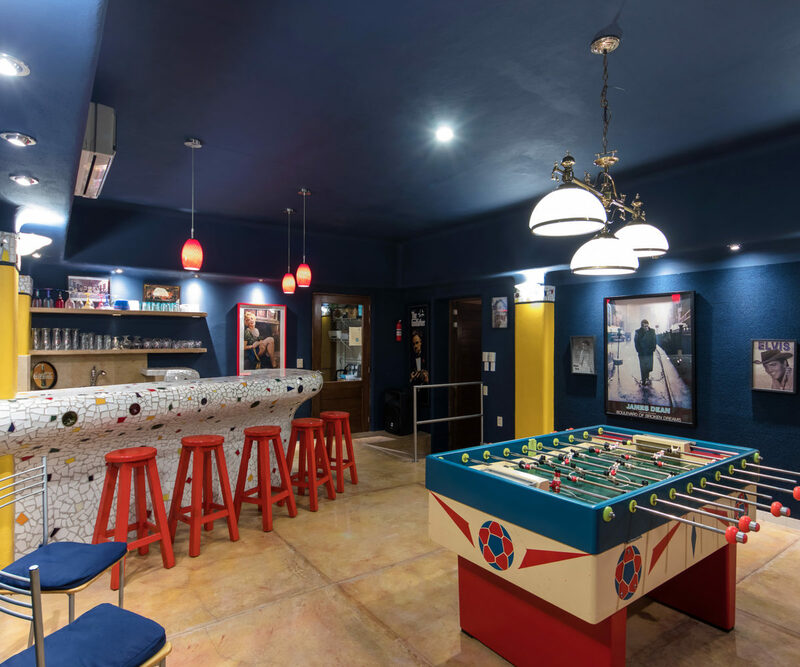 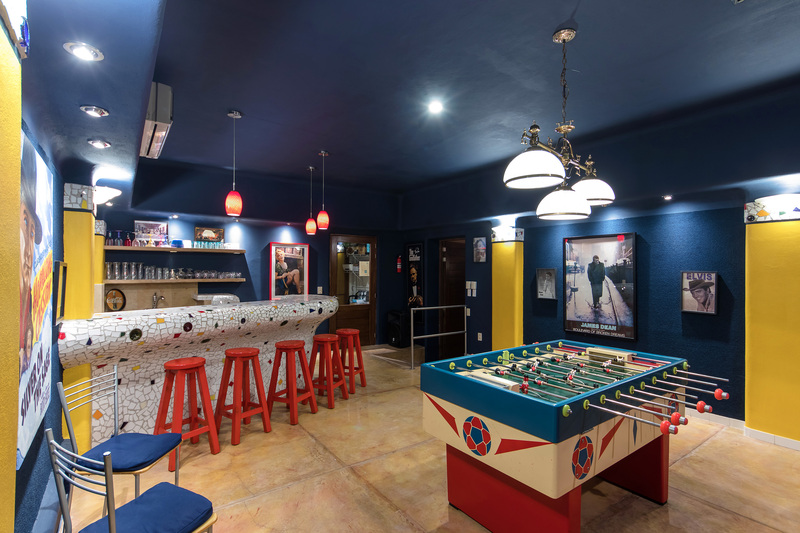 The property runs a successful rental business in addition to being a great private residence for its owner. 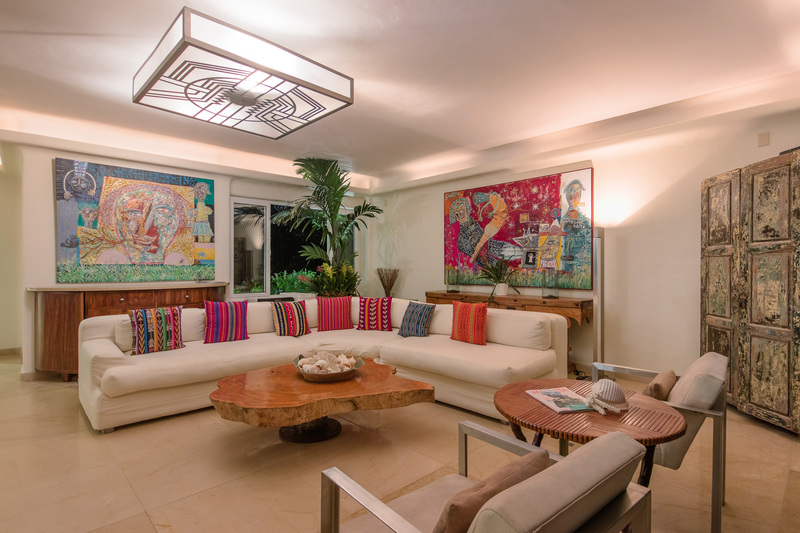 Sold Furnished with Artwork, Folk Art & personal exclusions. 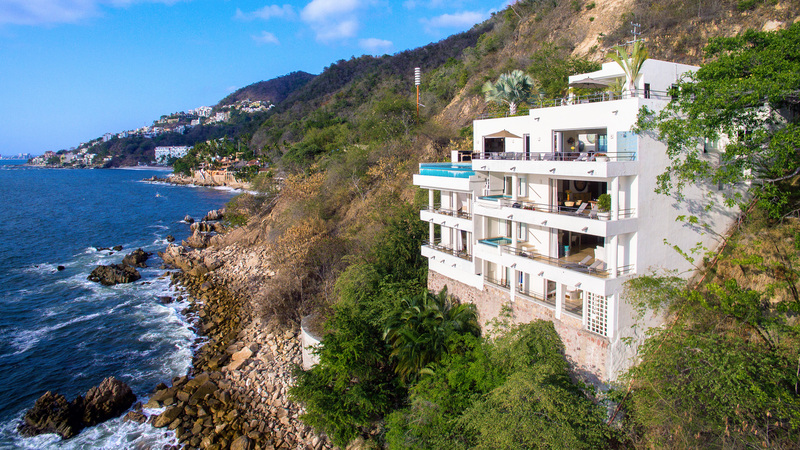 Directions: Located oceanfront just beyond Conchas Chinas on the south highway.